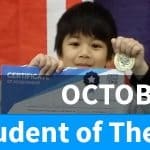 Student of the Month for March: Ciaran! Ciaran has shown real improvements in his maturity and etiquette over the last few months. 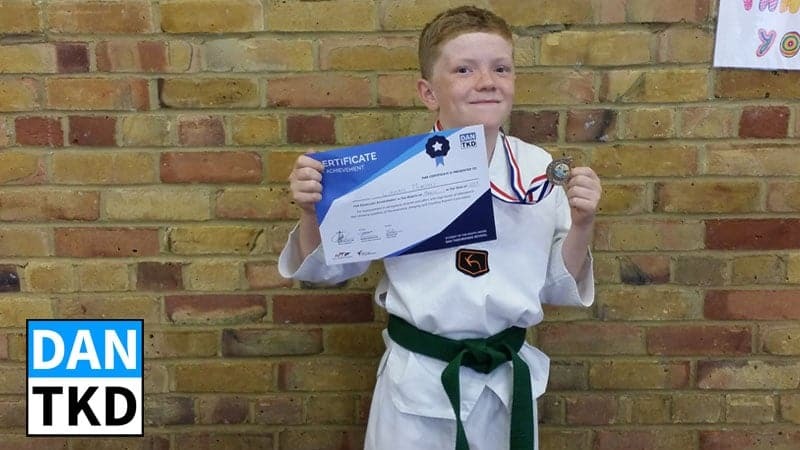 In particular he has been helping the younger kids line up at the beginning of class, doing this without any encouragement or orders from the senior belts or the instructors! 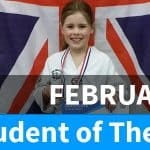 He has also been helping the peewees out with minor tasks such as showing them how to do up their belts as well as correcting their techniques in a very positive way.